Many times, our lives are run by deep seated core beliefs that manifest at the most inopportune moment. These core beliefs are thoughts that have become ingrained within our mental world and most of the time they describe some way in which we are limited. Being limited in nature, the corresponding emotion usually feels unpleasant. Our beliefs create our world and are the lens through which we view people and circumstances. They tell us what we can and cannot do and by their very nature they are self-reinforcing, perpetual programs. Our agreement with these early thoughts enables us to build a foundation from which these core beliefs will grow. The off-spring of our core beliefs are usually similar thoughts which are connected to the original one. They in turn grow their own roots. Simply put core beliefs are continuously repeated thoughts. When a core belief is formed it usually occurs with a lot of emotion behind it and at a very young age. The belief usually occurs as a response to outside stimuli and can be used as a form of self-protection against pain and suffering or as an explanation of why events happen. Often it is negative in nature perhaps because in our society we are raised in a conditional environment and also due to our instinct to survive. In our world, love is not something that is given unconditionally. It must be earned and the child must behave appropriately to receive this ‘love’. Throughout our lives our brain experiences various states or frequencies which determine how a person interacts and learns within the world. Brainwaves are created by electrical pulses from neurons in communication with each other. Our brainwaves are in continuous motion, changing in accordance to what we are doing and how we are feeling. For instance, between the ages of 0 and 7 our brain is in mainly two states, Delta and Theta. They are low frequency brainwave states. These are our programming years and during this time the child is like an information sponge, lapping up all manner of data from his or her external environment. These are also the years when we take on various unconscious belief systems which then run the rest of our lives. It is important to note that at any one time all brainwave frequencies are happening at once. However, one may be more dominant. Below is a brief description of each of our brain waves states and the significance of them. Typically, between the ages of 0 and 4, the child’s brainwave pattern is characteristic of someone who is in deep sleep. At roughly 0.5 to 4 cycles per second these are called Delta waves and at this level there is very little conscious thought. This is the realm of the subconscious. Here the child is open to suggestion and easily influenced in the same way a person under hypnosis would be. In this state, the child is easily susceptible to the people and environment around them. Programming happens easily and the child is taking in a huge amount of data in this state. This state is also seen in experienced meditators and in people who are hyper-relaxed. The delta state occurs naturally during the very deep phases of sleep and is responsible for bodily rest and repair. Measuring between 4 and 8 cycles per second the next step up is Theta. Children usually operate in this state between the ages of 4 and 8. This state is also said to occur in adults during REM sleep, daydreaming, deep relaxation and in more intimate settings. Most of the waking state of children is spent here but adults in deep meditation can also access this state. Since Theta waves are tied to enhanced creativity this is also an ideal state in which to perform art and music. Theta is dominant when the subconscious mind is fully engaged. Reductions in body rhythms such as heart rate and breathing are experienced here. At the point, the child’s brain wave pattern begins to have more similarities to that of an adult. Typically, between the ages of 7 and 14 the frequency is 8 to 13 cycles per second. Here is where the critical mind begins to form and children begin to analyse and make interpretations of their environment. As adults are brains are in this state when we are meditating or about to fall asleep. It is also a great state for learning and creative expression. From the ages of 14+ our brains are in the Beta state. A state characterised by high levels of thought, critical thinking, analysis and logic operating at 13+ cycles per second. Here the brain is fully awake, alert and as adults this is our normal state of consciousness. In this state, there is very little room for new knowledge or changes in perspective. A fact that can be easily shown when trying to talk to someone experiencing a high level of thinking. At High Beta, this is even more apparent and in this state the person can be very agitated, angry and extremely close minded. As mentioned previously, many of our deep-seated emotions and core beliefs are formed when our brainwaves are in the Delta and Theta states. This means that to change them we must take our brain back to the same state it was in when those core beliefs were formed. If we try to change core beliefs whilst are brains are in Beta, then we may find it can take several thousand of repetitions to ingrain the new belief into our subconscious. In fact, doing this will probably be a waste of our time. Our brains in Beta are not ready to learn and to be reprogrammed and Beta is not the optimum state for this to occur. This is perhaps one of the reasons why affirmations do not work for most people. Most people when saying affirmations, experience their predominant brainwave pattern as Beta and therefore it may take many thousands or millions of repetitions to reprogram the mind. The best time to repeat affirmations would be in a meditative state. The deeper the meditation, the better chance to access Delta or Theta so the more likelihood the affirmation will work. Access to the subconscious in these states allows reprograming to happen at a deeper level. The challenge comes in trying to access those deeper, child-like brain wave states of Delta and Theta. We have spent so much time in Beta that we do not know anything different. We do not know how to stop our minds. This is why meditation can be so effective in accessing those deeper states of consciousness. Many times, when trying to change core beliefs we come up against a huge barrier. That barrier is usually a feeling we get and often it is this feeling that stops us in our tracks. Many core beliefs are held together by unprocessed emotions and as we touch these beliefs their corresponding emotions become conscious. At this point we usually retreat because we do not have a mechanism to process these emotions or in most cases it is just too unpleasant to do so. Emotional Release gives us a tool to be used as and when these emotions appear. It enables us to continue through this storm and come out the other end feeling lighter and happier. Once the emotions are processed then it is much easier to change the core belief. In fact, it is often at this point that the core belief dissolves of its own accord. Let’s consider the case of a young boy age four who is refused a bed time hug because something he did was considered naughty by his parents. As punishment, his parents decide to withdraw their love so that he can learn an important lesson. He cries desperately for his parents but still they do not come. The child wants unconditional love but finds he is not receiving it, he may therefore conclude that there is something inherently wrong with him. Perhaps the belief is “there is something wrong with me”. With such a high emotion, a core belief can easily form and then be with him for the rest of his life, all from this one incident. However, usually it takes several repeated incidents to ingrain the core belief into our system. If the boy created that belief at the age of four, then his dominant brainwave pattern would probably be that of the Delta state. This is a very deep subconscious state and whilst in this state he is easily programmable. Now fast forward thirty years and you see that young boy is now an adult. Now his predominant brainwave state is Beta and because he is a high achieving executive his brain also spends a lot of time in High-Beta. If we now want to change that deep-seated belief, we need to take our brain back to the same Delta state that it was in when the belief was created. One way we can do that by ourselves is through deep meditation. Once in this state we can access the belief and change it with our conscious mind. If, when working with our beliefs our brain is in a different brainwave state, for instance in Alpha we will not be able to make deep seated changes without constant repetition. We must first still our minds through meditation to access deeper states and then allow the unconscious to become conscious. 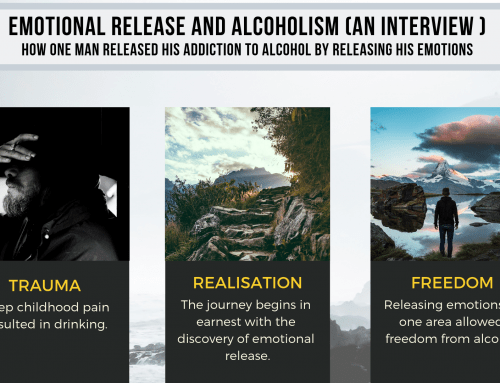 As this happens we might experience some trapped emotions being released and at this point we use the technique of emotional release to let go whatever appears. Finally we change our limiting beliefs to ones which are more suited to the life we want to live.